The ramps were still closed as of 6 a.m. The truck could still be seen turned over on the freeway ramp. 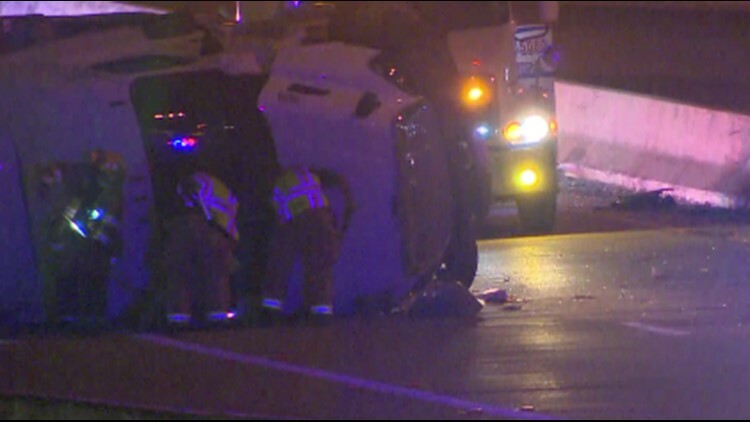 A semi-truck crashed and flipped early Thursday morning, shutting down the eastbound and westbound ramps from LBJ Freeway to northbound U.S. 75.